It's like a magical power that resonates through every music lover's veins. Once that verse or chorus is complete, it is like a signal that shoots up through the body to pull out your imaginary, 6-stringed instrument and instantly shred. And that is just speaking to music lovers that are caught up in the moment and don't even play the guitar. Most guitarists spend countless hours emulating and learning their favorite guitar solos is significant and inspiring. These are the musicians that subscribe to the dream of perfectly nailing an intricate and catchy guitar solo in front of a sold-out crowd of engaged listeners. Guitar solos will always be a powerful component of any song. 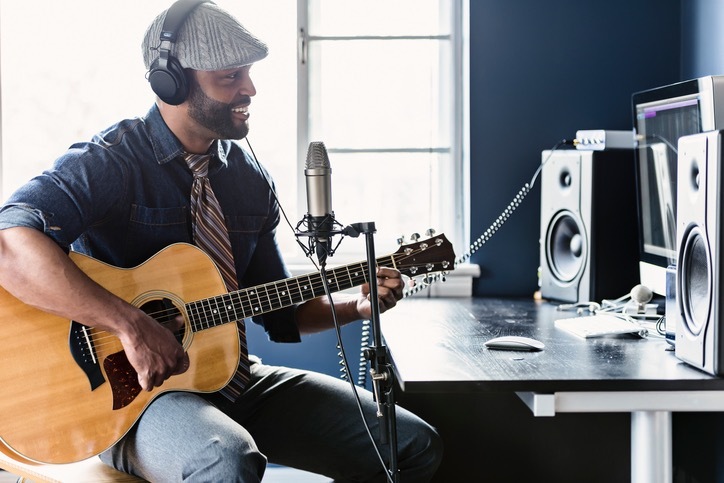 While a guitar solo may not be able to carry a subpar song over the hump, it will undoubtedly give any song an uplifting boost. So the question is, what makes one solo better than the rest and how can a guitarist create an awe-inspiring guitar solo? Thankfully, we have some answers for you! Is this exclusive to only guitar solos? Absolutely not. Is good tone vital to a successful guitar solo? You bet. Are you placing your fingers in the correct location of the fret? Are you pressing the string with the correct amount of pressure? Don't overlook the fact that a great deal of your sound's tone comes down to your specific guitar. What works for you and your guitar may not be the same for a different one. Check out this list of 50 Guitar Tone Tips here. One impactful way to make something (in this case, your rad guitar solo) stand out is by changing the key. We recommend switching to a higher key. The change will be noticeable and memorable, but still have a lasting similarity to the rest of the song. However, changing keys isn't something you should throw in there willy nilly. Make sure you take the time to consider what key your song is currently in and find a key that will compliment it well. Click here to discover the secrets of a successful key change. If you want the guitar solo to stand out and separate itself from the rest of the song, think back to some of the basics of songwriting. Have your notes strummed in cut-time. Or with the drums and bass in the background, let each note ring out slow and powerful. Speed does not always equal a better solo, so don't just try to fly through your solo at lightning speed with more wrong notes than you can count. A fast tempo is great, but you want to stay calculated and practice, practice, practice. 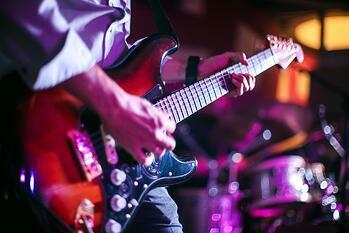 If you're looking to mix-up the solo, try to venture away from traditional 8th or 16th notes. One part of a solo, similar to a riff, that makes them unique and memorable is how catchy they are. The "catch factor" can be in large parts due to the rhythm of the solo. Devise a rhythm that gets stuck in your listener's heads, and that will surely have them coming back for more. Think about bouncing between legato notes and staccato notes. Sometimes less is more, too. You don't need to overwhelm the audience with constant sound. Letting notes ring out or incorporating a little bit of dead space can go a long way. You know that volume knob on your guitar? Yeah, give that guy a little action. There is a reason that volume is labeled under dynamics. They can have a major effect on the mood of your solo and will send the listener on a journey. Staying in one dynamic for too long, or the entire solo, can become monotonous. Mix up the volume, rhythm, and weight of your picking to add depth and really push your solo to the next level. 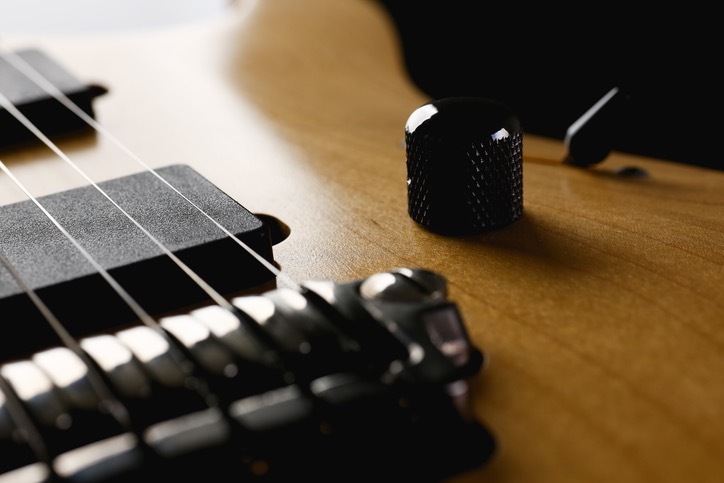 On top of changing volume, your volume knob also significantly impacts your guitar's tone. Depending on what you're going for and the style of music you are playing, you should play around with the volume knob on both your amp and guitar to achieve the sound you're searching for. While staying in the middle provides a nice balance, the bridge pickup will offer a tighter and brighter sound where the neck pickup is a little bit more muddied. These differences exist because of the output that is achieved by each pickup. The closer you pluck to the neck of the guitar, the greater the amplitude. Where the pickup is located, along with where the string is plucked, is what creates the output and sound you ultimately hear. Switching between the two can provide tonal differences that can change the entire sound of a solo. Typically (although, it doesn't have to be the case), you would play the majority of the song on the neck pickup and then switch to the bridge pickup for your solo. You just have to be aware that you may experience a tone change when switching pickups mid-song. Discover more in-depth the difference between a bridge pick and a neck pickup. Let's take a step back from the intricacies of your guitar for just a second. When you're playing a live show, who has direct control over how your music is mixed and perceived? Exactly, the Sound Technician. You want to be sure to have a working relationship with them and let them know you appreciate their assistance. Is it their job? Yes, so that doesn't mean you need to bribe them or anything like that. Just stay respectful and if they ask you a question don't brush them off. A great, clear sound is a win for you and a win for them. If you're looking for variation during any part of the song (doesn't even have to be the solo! 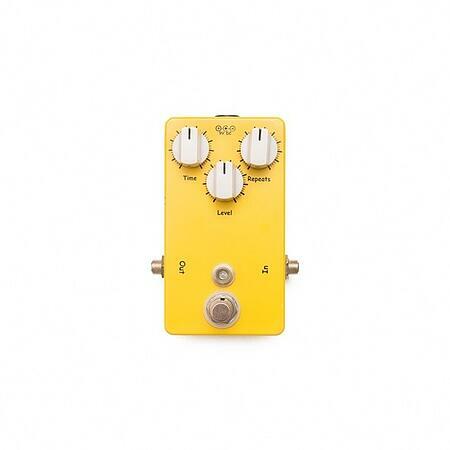 ), then consider adding a few pedals to your rig. Overdrive: Overdrive is useful when it comes to pushing your preamp to its limits while keeping the tone solid. It isn't as gritty as distortion but will help elevate your solo and allow it to stand out. Compressor: Use a compressor pedal to fatten up your lead guitar solo and also compress it at the same time. This can help equalize your solo and give it a very professional sound. Another idea if your solo is having trouble cutting through, maybe start thinking about rearranging your current pedalboard order. You'd be surprised how switching around or eliminating a pedal can improve your sound. Use our Ultimate Guide to Guitar Pedals as a resource. Chances are if you read a lot of Stephen King, you will write like Stephen King. Or if you strongly admire Van Gogh, you may be more apt to paint like him. Having inspirations that you desire to emulate is never a bad thing. However, you may get caught up in only one style. When it comes to guitar playing, certain riffs or licks become muscle memory, and it may be hard to break out of that trend. Try stepping away from the guitar and listening to other types of music or attempt to write a solo without the guitar in your hand. For instance, singing the solo will help you break away from the muscle memory restraints that your hands have. You may notice a lot more variation and a whole new breath of fresh air to your solos and eventually your overall sound. Having a guitar solo that sounds different from the rest of the song isn't inherently bad, especially if that is what you're going for. But it can also be quite jarring. Consider the song as a whole. What is the mood of the song? What is the bigger picture? Even if you have a fantastic idea, if it doesn't serve the song, save it for another day. This may be difficult for some of the bigger egos in the music world, but when creating a guitar solo, you have to keep in mind if it is contributing to the song as a whole rather than trying to battle or take over the song. It is beyond critical to understand that the solo is about the song, not about you. There are plenty of DIY blogs and videos that can assist you in creating an excellent Guitar Solo, but one surefire way is by attending a Music College. The Atlanta Institute of Music and Media has state-of-the-art studios where you will be taught by industry-leading professionals on correct and creative ways to maximize your guitar playing talent. Our Music School offers a Guitar Certificate Program and a Music and Technology Associate Degree with a Focus in Guitar. Discover more about AIMM and become the best guitarist you can be by clicking on the link below today!